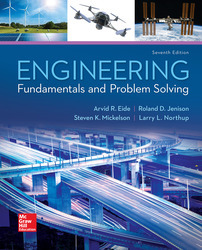 This edition presents an introduction into the engineering field and remains the most comprehensive textbook for an introductory engineering course. Students are introduced to subject areas that require the application of fundamental engineering concepts. The author's approach keeps students on task toward an engineering career by showing how the materials apply to the student's school, life, and career.